Improving customer experiences has replaced operational efficiency gains as the top objective in customer care executives’ agendas. 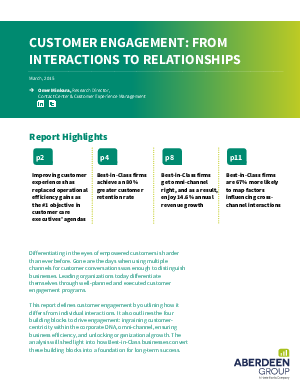 This Aberdeen report details how “best-in-class” firms are achieving greater customer retention and annual growth as a result. Discover more in the report now.